On Fridays we feature amazing discoveries and facts, because, yes, the world is full of wonders that are real and natural-occurring (without divine or supernatural intervention). This week we are going back in time, when giants roamed the earth. Large animals like elephants, rhinoceroses, and giant squids are amazing to watch and wonder at. But thousands and millions of years ago there were even bigger animals. Thanks to archaeologists and scientists, we know a lot today about those animals too. The most famous large animals are perhaps dinosaurs. There seems to be so many variations of them (from flying, to small, to large, to herbivore, to carnivorous) and Hollywood movies have made them famous. Although we don’t exactly what dinosaurs looked like (their colors, etc.) because they lived millions of years ago, before humans, we have discovered enough bones and remains to learn a lot about them. One of the most interesting pieces of fossil is actually their poo. 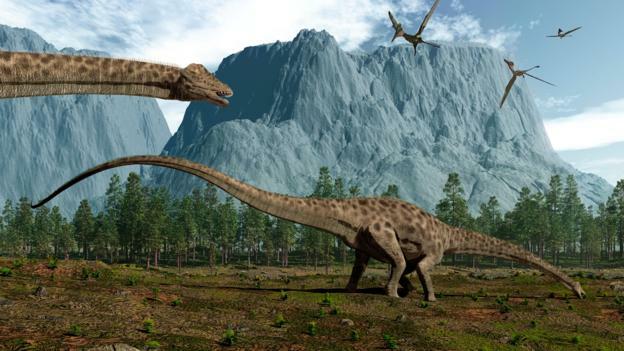 Read about how their feces are helping scientists understand more about how dinosaurs lived: BBC. Thanks to the Ice Age movies, you may know about the Woolly Mammoth. It is believed they existed more than 400 thousand years ago, could reach over 4 meters tall and weigh over 6 tons (12,000 pounds!). It’s called “wooly” because it was covered in fur and long hairs. 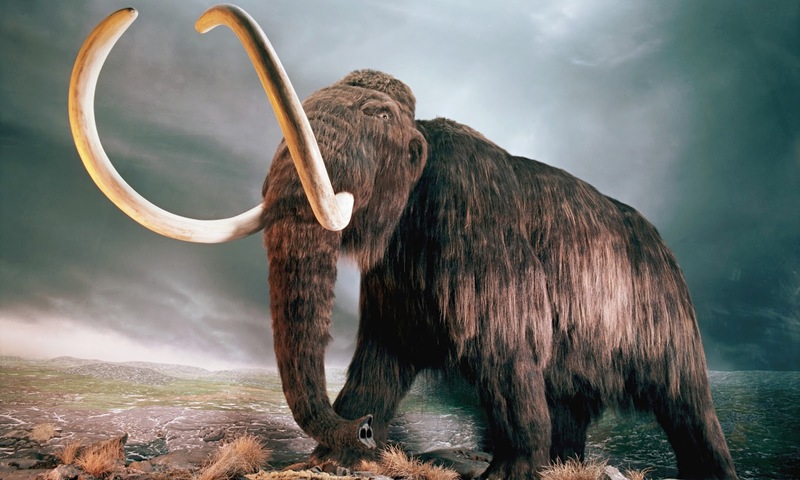 The Woolly Mammoth became extinct because of climate change (yes, the Ice Age) and being hunted by humans. We know they existed because even as recent as last year we have been discovering their remains. Watch here: National Geographic. Another large animal that’s extinct is the Steller’s Sea Cow -named after George Stellers, who discovered the creature in 1741. 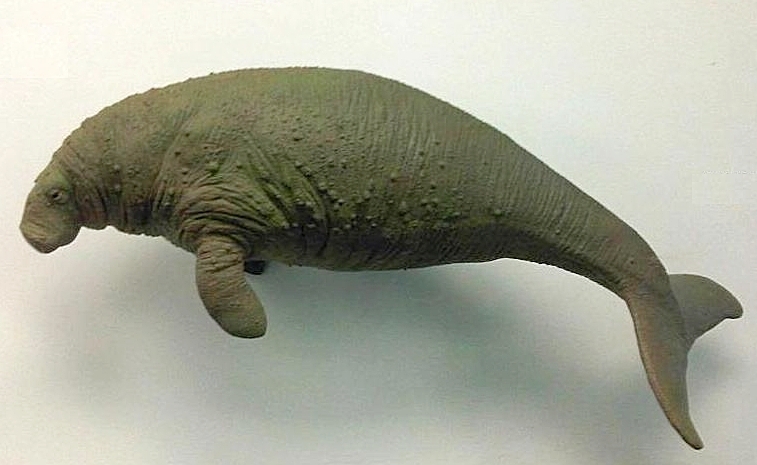 As you can see in the picture, this sea cow closely resembles the Manatee, although it was much bigger (could grow to 8 meters and weighted up to 10 tons!). It was a gentle and tame creature, which made it vulnerable to humans, and in just 27 years it was hunted to extinction. The Baiji White Dolphin lived for about 20 million years, before humans destroyed it in the last century. As humans used the dolphin’s territory, these creatures were wiped out due to pollution, heavy fishing, and boat propeller accidents. 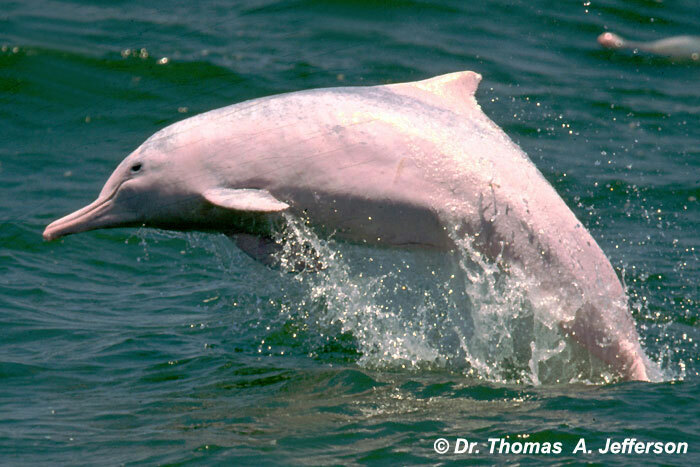 It is not officially extinct, but no one has seen a Baiji White Dolphin since 2002. As much as we admire and learn about these and other magnificent big creatures that lived before our times, it is important to recognize that, with few exceptions like the dinosaurs, humans are largely responsible for the disappearance of many of these animals -from hunting to destroying their habitat. If we care about the world we live, we should respect all lives, including animals. Huge Kangaroos and 5-meter lizards: Australian giants: BBC. These people are trying to bring the Woolly Mammoth back from extinction: Long Now.